International Conference on Renewable Energy and Sustainability (ICRES’19) is being held on 5th and 6th April 2019 at Vishakapatnam. 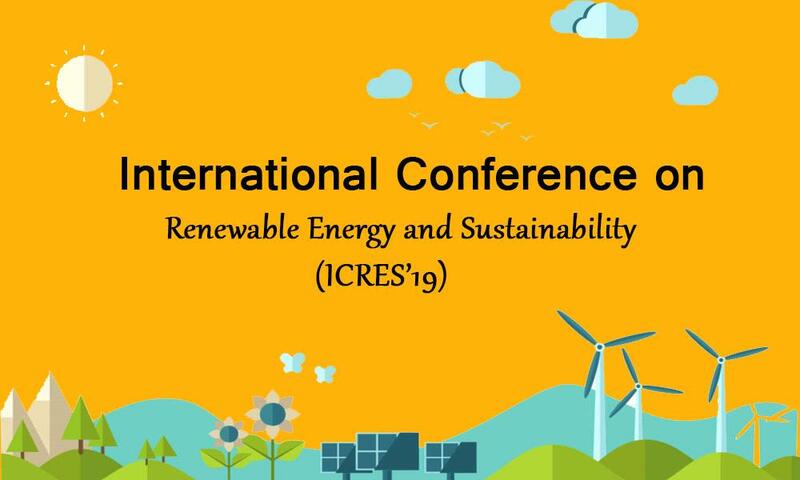 International Conference on Renewable Energy and Sustainability (ICRES’19) is going to be held in Visakhapatnam, on April 5th & 6th, 2019. ICRES’19 aims to provide an international forum to facilitate discussion and knowledge exchange of the state-of-the-art research findings and current and future challenges and opportunities related to all facets and aspects of renewable and Sustainability. ICRES’19 is dedicated to promoting research and development and offers an inter-disciplinary intellectual platform for all interested people from academia, policy-makers, engineers, PhD and Masters students, industry and government professionals, researchers and other specialists interested in all issues related to renewable and Sustainability. This also focuses on sustainability, identifying interdisciplinary connections, and is motivated to engage in vocations that promote meaningful social and environmental change. For more information, you can reach us at 7305477495 or at info@icres.in.